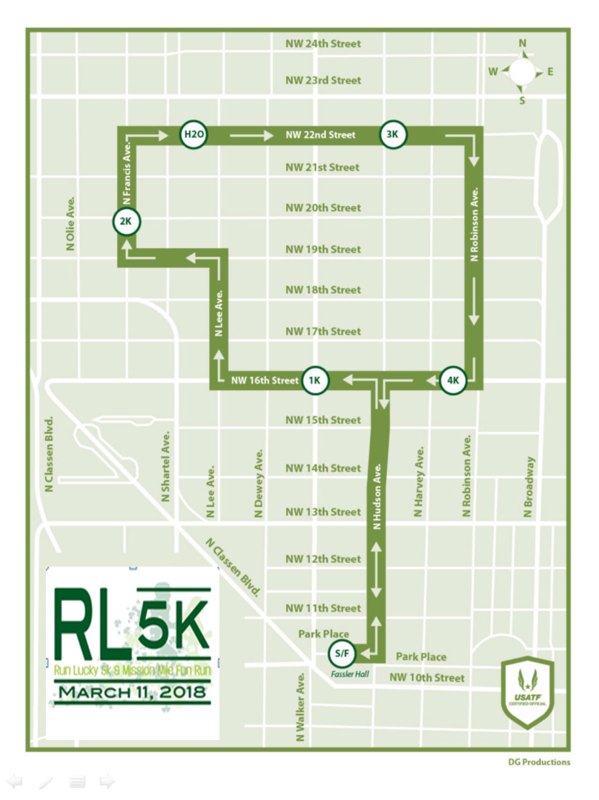 The 9th Annual Run Lucky 5k and Mission Mile Fun Run is scheduled for Sunday, March 10, 2019 in Midtown, Oklahoma City. Run Lucky is hosted by Friends of LLS with all net proceeds from this event benefiting The Leukemia and Lymphoma Society. The race will start and finish behind Fassler Hall in Midtown. The Mission Mile Fun Run will start at 1:30 PM, and the 5k will start at 2 PM. The Awards Ceremony and Costume Contest will take place at approximately 3 PM at the finish line area. Registration is now open! Registration is $25 thru Dec 31; $30 thru March 7; $40 thru March 10. To register, click here. You may also register the day of the race at the Registration Tent, located behind Fassler Hall in Midtown OKC located here. Costumes are strongly encouraged! We’ll host a costume contest following the race (around 3 PM). We will have two contests – one for children (13 years and younger), and one of adults. Anyone can come out and run, but it takes a special person to do it dressed as a leprechaun! Green beer will be served to all participants at the finish line! You must be 21 years old+ to receive your free beer. Make sure to bring an ID! Please be a polite Leprechaun and finish your green beer prior to entering Fassler Hall or their courtyard. Current alcohol rules prohibit the free beer outside of the race area. Awards will be presented after the 5k is finished. Fast accurate results will be furnished by DG Productions and posted to DG’s web page here. There will be an awards ceremony follow the 5k race around 3PM. Special awards will be given to the first overall male and female, largest team, and top fundraising team. Age group awards will be three deep to male and female finishers in the standard 5 year divisions. Youth age groups begin at 12 and under. Oldest age group is 75 and over.